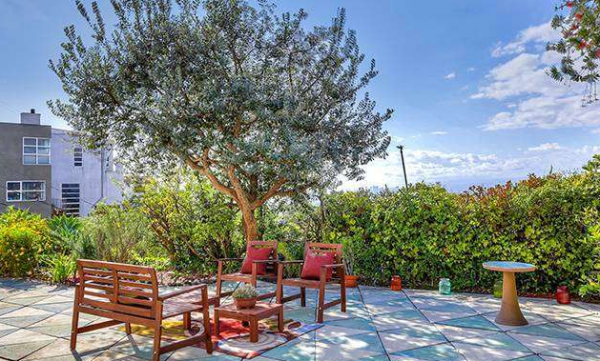 There are few homes as breathtaking, serene, and magical as 2101 Park Drive, the Buchman Residence. 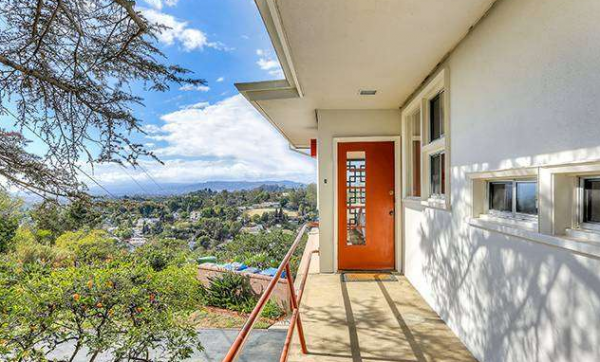 Nestled on the western knoll adjacent to Elysian Park, the balanced Mid-Century-meets-Streamline-Moderne architectural home designed by Fred F. Kreipl, AIA, provides unobstructed, almost 360 views of the City, spanning the San Gabriel Mountains to Hollywood to the Pacific Ocean. While modest at 2 bedrooms, 2.5 baths, and replete with an additional downstairs studio, all 1,400 interior square footage have been maximized to merge indoor rooms with tranquil outdoor space — the living room’s curvilinear balcony, an al fresco dining area, and manicured front and back lawns. 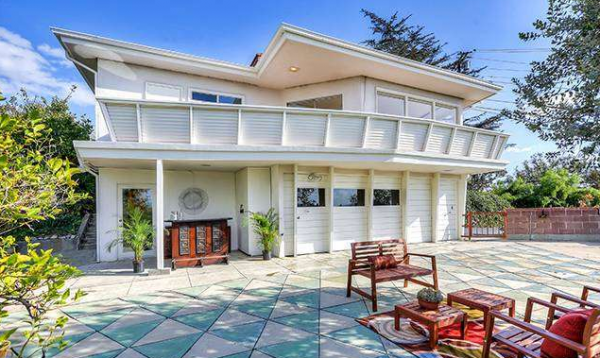 It is priced at $925,000, landed on approximately 10,000 square feet, and sure to impress. 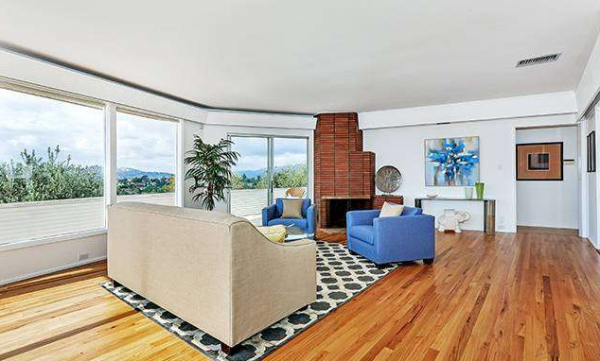 A gracious living room captures the western view, both inside and out. 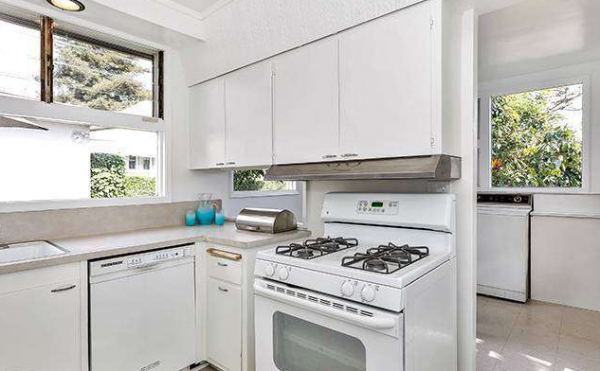 For the home chef, the kitchen lacks flourishes but harkens back to a simpler time of Sundays at Grandma’s and warm apple pie. It would be easy enough to incorporate the adjacent laundry room and dinette to create a fancy Houzz re-design, if needed. There’s plenty of natural light that floods almost every room of the house, from a combination of jalousie and picture windows. 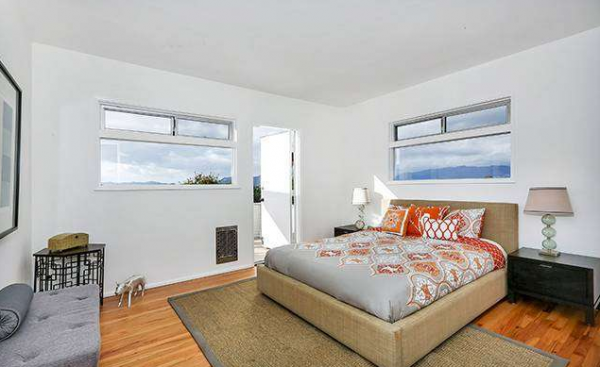 Transom windows and a door to the balcony lend to a bright bedroom. 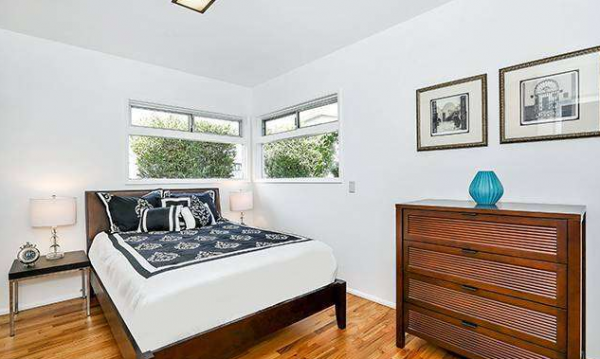 While a bit smaller, the second bedroom has built-in dressers and a closet and still plenty of natural light. What really sets 2101 Park Drive apart from other homes is the abundance of outdoor space. It’s un-ending! 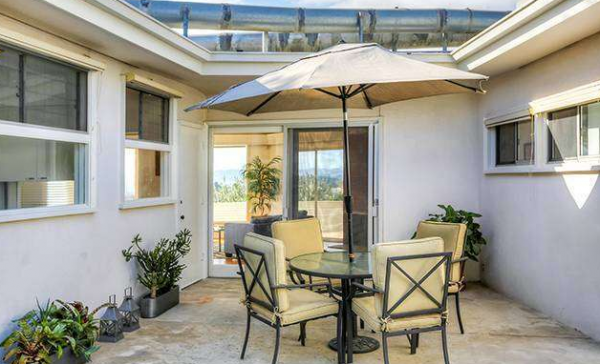 You can spend your days entertaining at the outdoor courtyard, with a great view of the front lawn and surrounding Elysian Park treetop, or face West and hangout by the olive tree in your back yard. 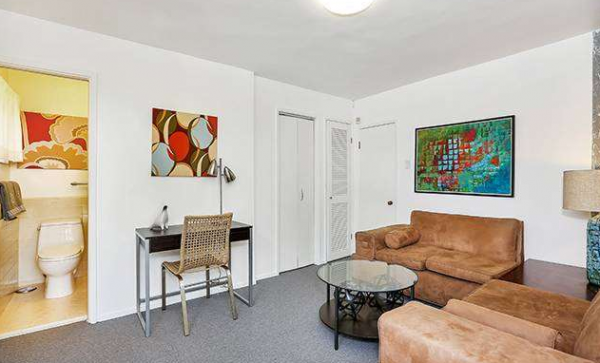 If you have out-of-town guests, the bonus studio space downstairs will easily accommodate them. 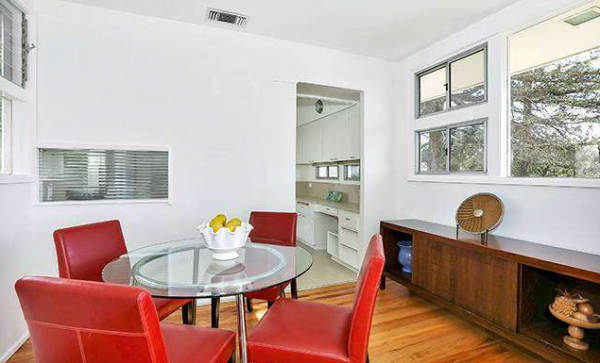 Or, if you have thoughts of engineering a pool in lieu of a back patio, the studio space would make for a great cabana. 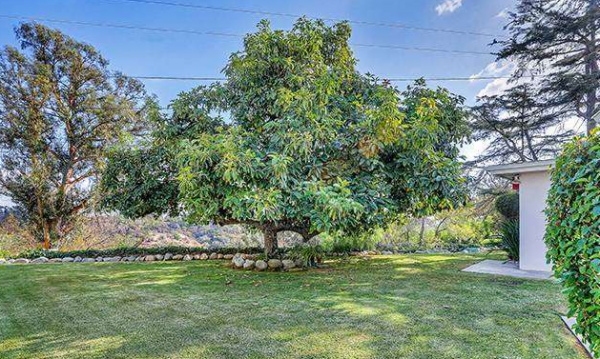 For showings, please contact Jovelle Schaffer at (213) 718-1110. 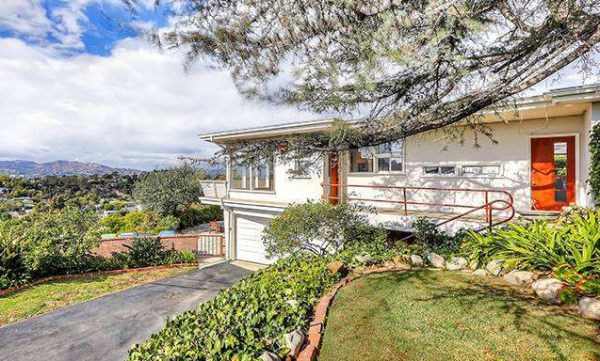 With its first-time on the market, the home is sure to get a flurry of activity. 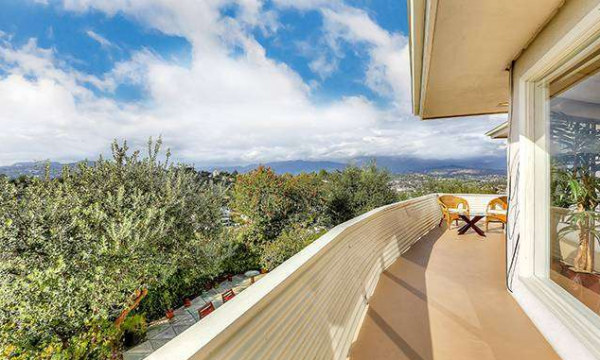 Judy Oroshnik and Dean Decent, of Berkshire Hathaway HomeServices, represent the Seller.